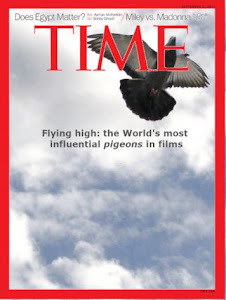 In this film, we can see practical examples of the use of pigeons for seduction and killing. 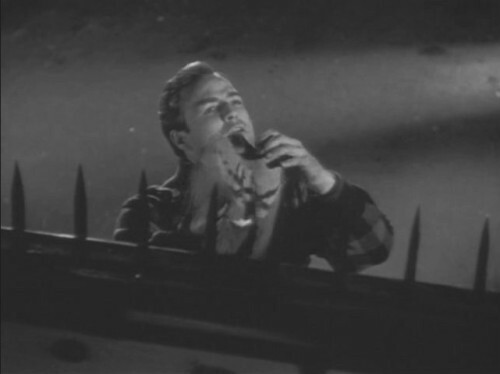 Marlon Brando won an Oscar performing the role of Terry Malloy: a dockworker that breeds pigeons and sympathizes with a mob-union syndicate. At the beginning of the film, Terry uses a one of these creatures to fool another pigeon breeder who was going to testify against the union syndicate. With the excuse of finding a lost pigeon, Terry leads him to a deadly ambush. Terry was initially on the side of the bad guys, but we will see that in the end he is not bad at all and pigeon are not only used for wicked purposes. Terry uses a pigeon to fool another pigeon breeder. 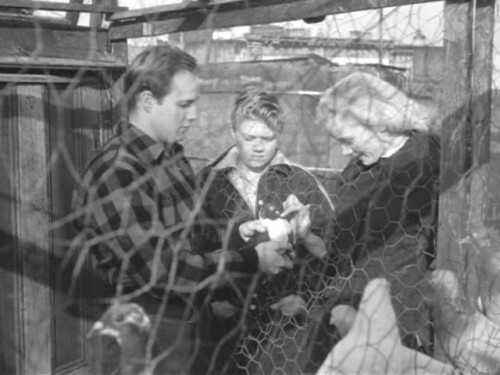 This film is a drama but it also has some room for a memorable romance between Terry and Edie Doyle (Eva Marie Saint) who is the sister of the murdered pigeon breeder. Terry feels attracted to her and the problem is how to get a date. One day, she meets him on a rooftop and Terrie exploits this opportunity to impress her by showing her his pigeons. He proudly talks to her about his fondness for his racing pigeons and how loyal pigeons are. This is a touching romantic scene where a pigeon performs with the main protagonists. The complete scene can be seen here. Unfortunately, Terry decides to face the mob union syndicate and eventually both Terry and his pigeons suffer a cruel reprisal by this organization. Terry shows a pigeon to Edie in order to impress her. Edie took the bait and seems to be interested in the pigeon. The pigeon trick is working and we can appreciate a spark of interest in her eyes. Pigeon activity: They are bred pigeons that live in a coop on a rooftop in New Jersey. 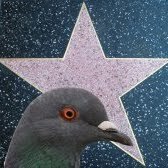 Symbolism: There are several theories about the pigeon symbolism. They can represent the dockworkers that are exploited by and kept from testifying by the mob. In this case they represent the weakest members of the community (an analysis can be seen here). The pigeons are also seen as stool pigeons, a slang expression that describes informers. In real life, the director himself became a stool pigeon providing testimony to the HUAC for anti-Communist investigations in Hollywood (analysis here). Relevance: High. In the main pigeon appearances, they are used to achieve very different goals: killing an informer and attracting a woman. 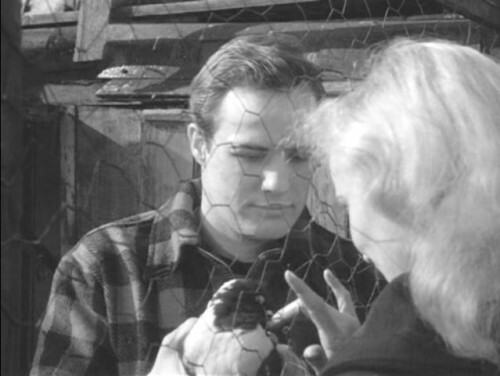 The pigeons also support Marlon Brando's performance contributing to his Oscar Award. Training level: High. They are genuine bred pigeons that are used to being in close contact with humans.